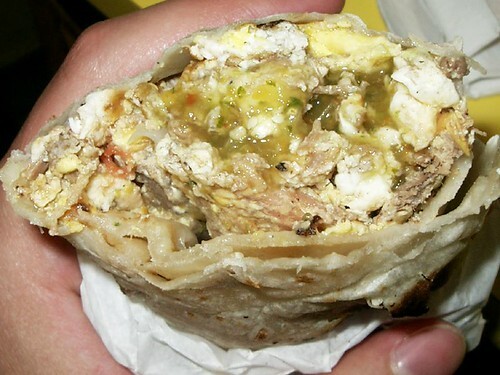 The same delicious Machaca as before, slathered with hot sauce. This time I took a little of my own advice and ordered at night. Delicious. This Benitos Taco Shop meal was rated: 7.8. Monday, March 20, 2006 by Jonah.